Sony To Rebrand Retail Boxart To Coincide With The Playstation 3 Slim? 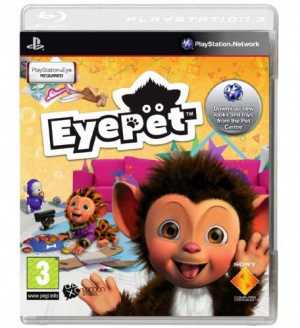 This Alternative Eye Pet Boxart Seems To Highlight Rumours Of Playstation 3 Rebranding. Cue your new look boxart - in this case Eye Pet, which skips on the vertical "Playstation 3" banner keeping the Spidey font to a minimum. With Playstation 3 Slim expected to be announced at GamesCom tomorrow, we wouldn't be surprised if Sony detailed their whole new marketing philosophy. This boxart certainly seems to rely on a more simplistic appearance.